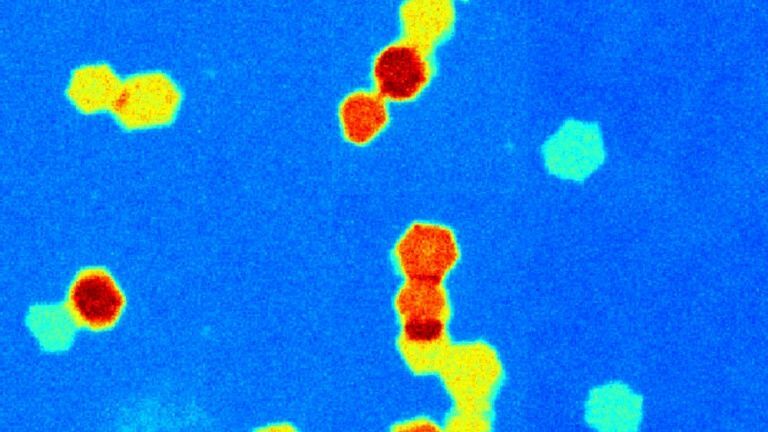 Two-dimensional (2D) nanomaterials have been made by dissolving layered materials in liquids, according to new UCL-led research. The liquids can be used to apply the 2D nanomaterials over large areas and at low costs, enabling a variety of important future applications. The new approach, published today in Nature Chemistry, produced single layers of many 2D nanomaterials in a scalable way. The researchers used the method on a wide variety of materials, including those with semiconductor and thermoelectric properties, to create 2D materials that could be used in solar cells or for turning wasted heat energy into electrical energy, for example. “2D nanomaterials have outstanding properties and a unique size, which suggests they could be used in everything from computer displays to batteries to smart textiles. Many methods for making and applying 2D nanomaterials are difficult to scale or can damage the material, but we’ve successfully addressed some of these issues. Hopefully our new process will help us realise the potential of 2D nanomaterials in the future,” explained study director Dr Chris Howard (UCL Physics & Astronomy). “We didn’t expect such a range of 2D nanomaterials to form a solution when we simply added the solvent to the salt – the layered material salts are large but dissolve into liquid similar to table salt in water. The fact that they form a liquid along with their negative charge, makes them easy to manipulate and use on a large scale, which is scientifically intriguing but also relevant to many industries,” said first author Dr Patrick Cullen (UCL Chemical Engineering). UCL Business PLC (UCLB), the technology commercialisation company of UCL has patented this research and will be supporting the commercialisation process. UCL was founded in 1826. We were the first English university established after Oxford and Cambridge, the first to open up university education to those previously excluded from it, and the first to provide systematic teaching of law, architecture and medicine. We are among the world’s top universities, as reflected by performance in a range of international rankings and tables. UCL currently has over 38,000 students from 150 countries and over 12,000 staff. Our annual income is more than £1 billion.